Therese is an Associate Professor at Edith Cowan University, where she teaches in the School of Medical and Health Sciences and conducts research in the area of child health. She previously worked on the longitudinal Raine Study at the Telethon Kids Institute, and in private dietetics practice. 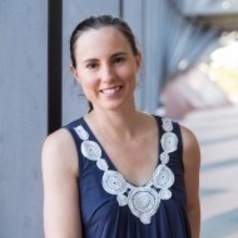 Since receiving her PhD at the Queensland University of Technology, Therese has published 40 peer reviewed publications and two text book chapters, and is passionate about practical and translatable research.